Steve Skorup of Sandwich, IL, may have retired from high school teaching, but he’s hardly retired. 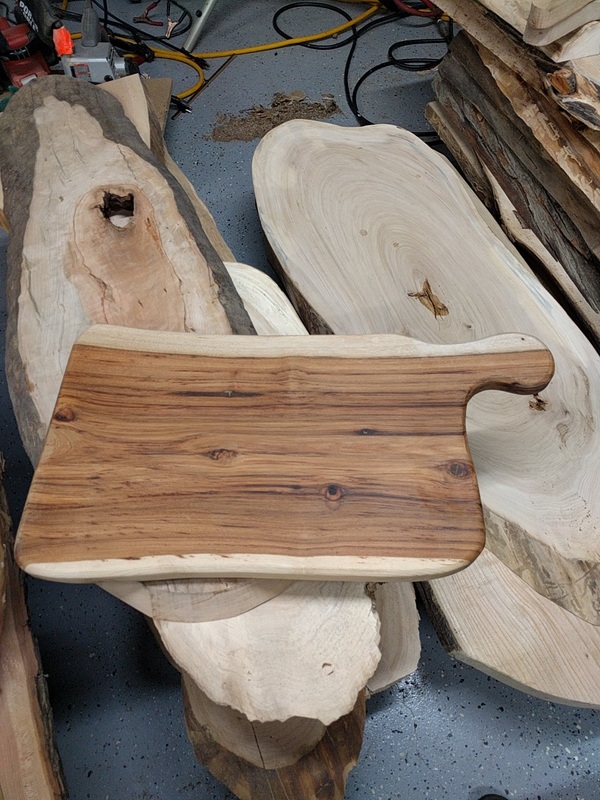 His new day job is harvesting urban trees to make into furniture and other wood products. 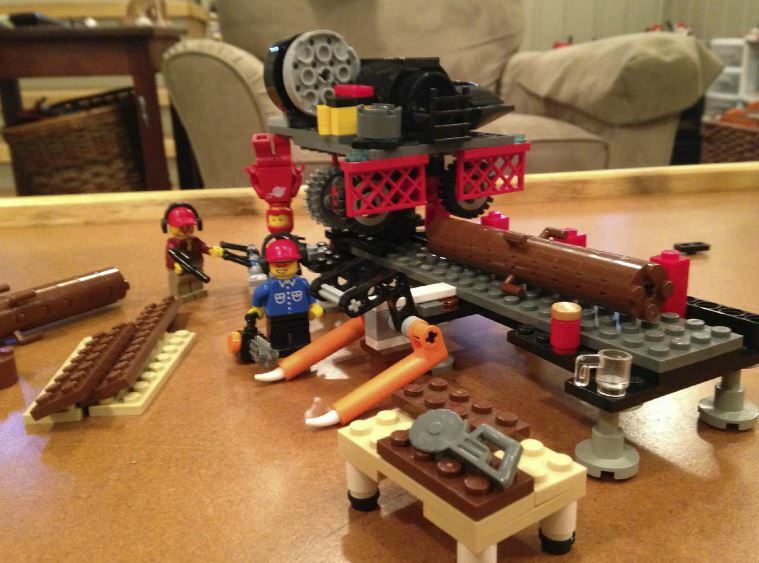 He’s found diverse sources for urban logs and has made friends with a pair of local sawyers to mill them for his shop. 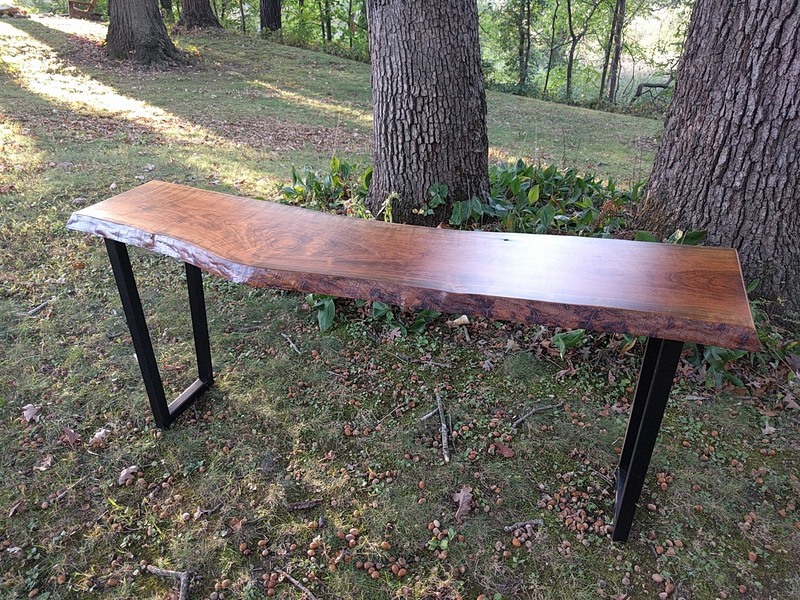 Read more about Skorup and his urban wood business, SAWINC, in this edition of the Illinois Urban Wood Update. 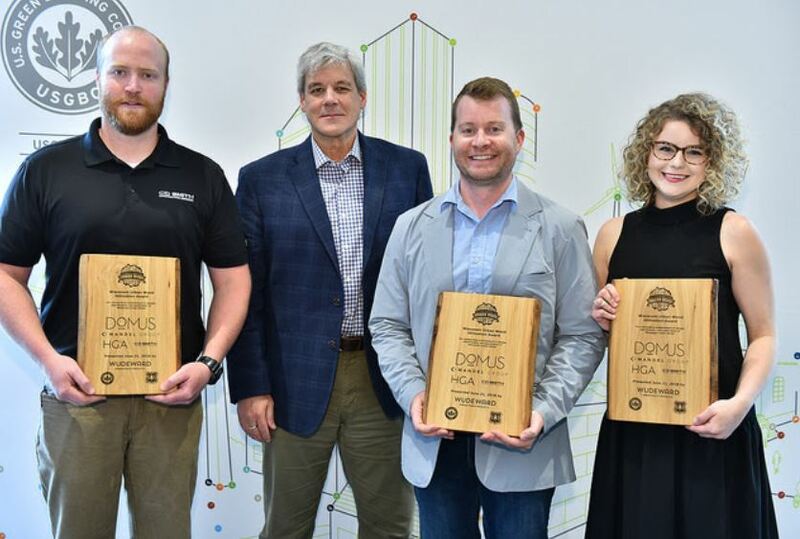 Dwayne Sperber, owner of Wudeward Urban Forest Products of Milwaukee, presented the first Wisconsin Urban Wood Utilization Award to the architects and builders of the DoMUS apartment complex. The award recognized the project’s use of Wisconsin Urban Wood shelving in 117 luxury apartments. His goal is to make this an annual award. Way to go, Dwayne! 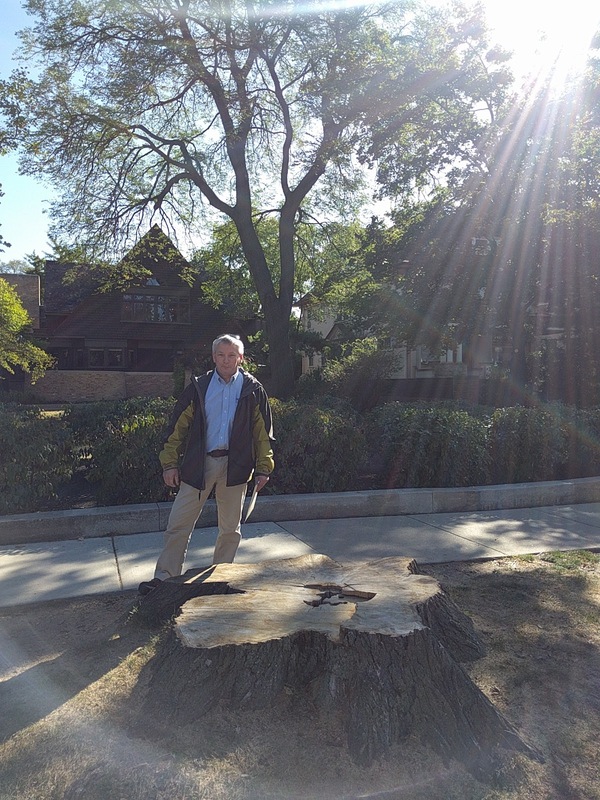 We’ve featured several videos produced Tom Hogard of Eudora, KS, better known in urban wood circles as Tom The Sawyer, over the years. Tom recently began blogging on his website. 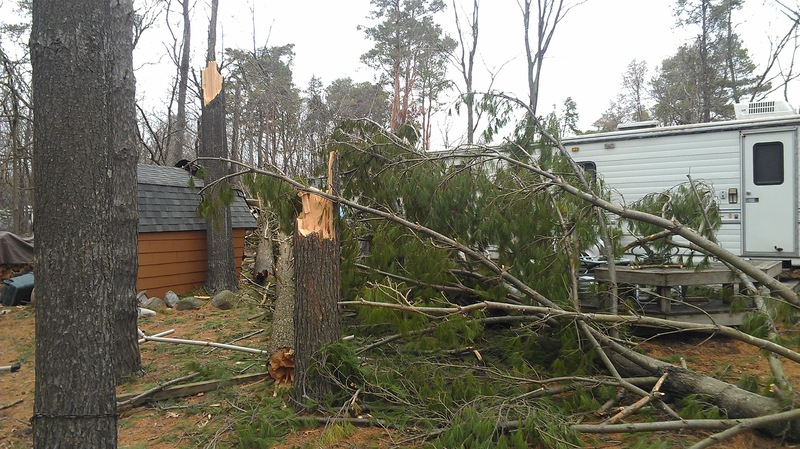 In one of them he tackles the challenging question, “Can you cut your lumber costs significantly by patronizing your local sawmill?” Read the article in this month’s Update for Tom’s answer. 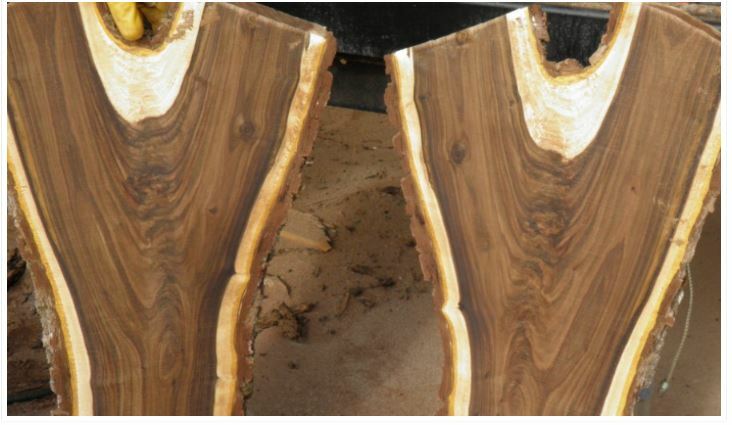 The Urban Wood Network presented its third in its “How to Do Urban Wood” webinar series last week. It will soon be archived to watch on-demand. The second webinar, “How to Produce and Market Urban Lumber,” was recently added to the archives. A handy link is offered in the newsletter to check it out. As always, send me your urban wood news and photos. Steve Skorup did it, so can you! DoMUS team from left to right: Brian Verheyen of C.D. Smith Construction, Dwayne Sperber of Wudeward Urban Forest Products, Nate Gebert of Mandel Group, and Cara McDonough of HGA. Photo: RJ Harris Photography. “Wisconsin Urban Wood provides warmth in a room as a natural product, it is beautiful, and it gives us the ability to reuse a valuable resource,” says Nates Gebert. Wudeward Urban Forest Products was honored to present the first Wisconsin Urban Wood Utilization Award to Mandel Group, HGA, and C.D. Smith Construction for their work developing, designing, and building the DoMUS apartment complex in Milwaukee’s Historic Third Ward. The award was presented on June 21 during the USGBC Wisconsin Transformation Awards. Wudeward could not have presented this award without the support from the U.S. Forest Service and the Wisconsin Urban Wood network of municipalities, arborists, sawmills, designers, and suppliers who together make the urban wood industry possible. 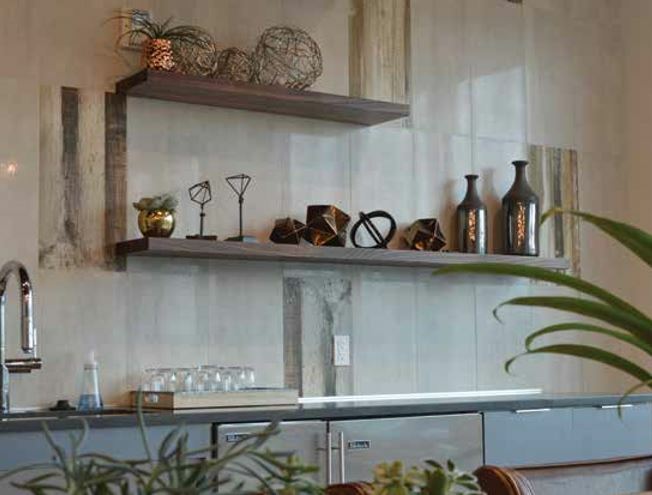 The DoMUS project – which incorporated Wisconsin Urban Wood shelving into 117 of its luxury apartment homes, shelving in the community room, and a floor-to-ceiling divider in the main lobby – serves as a model for working with urban wood in large volumes. From their understanding of best ways to work with sustainably-sourced materials, to adding Wisconsin Urban Wood into their design specifications, and constant communication throughout the design and construction process, the team made working within the constraints of nature’s inventory a streamlined, standardized, and enjoyable experience. Download the full case study for more information and give me a call if you are looking to incorporate Wisconsin Urban Wood into your next project.